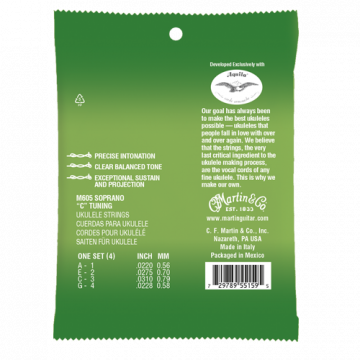 Developed exclusively with Aquila, Ukulele Premium strings provide precise intonation and clear, balanced tone with exceptional sustain and projection. All Nazareth-made ukuleles are strung with Martin’s premium ukulele strings. 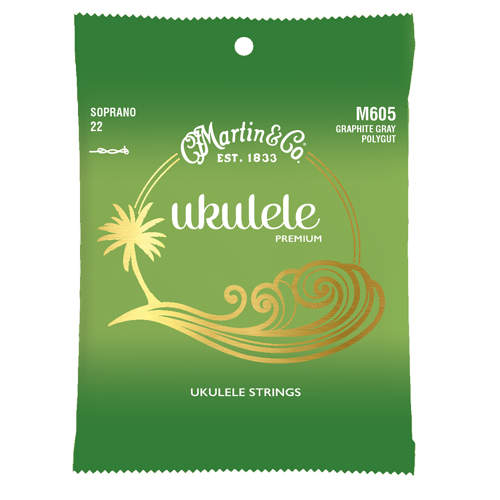 Martin Ukulele Premium Soprano, Concert and Tenor strings are made with Graphite Gray Polygut™.